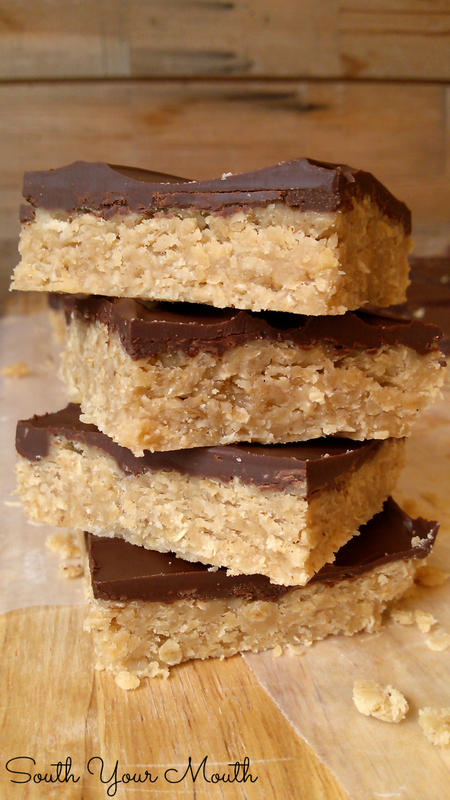 An easy no-bake peanut butter oatmeal bars recipe topped with chocolate. So easy and delicious! My Brutus loves peanut butter no-bake cookies. I like to make a chocolate drizzle to go over the top of them but realized I’d used all the cocoa making the chocolate cobbler a few weeks ago and wouldn't be able to make the drizzle. Since Brutus is just like his daddy and doesn't like change. At all. Ever. I decided to tell him ahead of time that his favorite cookies would be a tad different than normal and wouldn't have the chocolate on top. He just sort of stared at me for a minute then a light bulb went off and he suggested I just use Hershey’s syrup. I explained to him why that wouldn't work and he started to walk away then whirled around and asked about adding chocolate chips. And when I told him the chocolate chips would melt if I did that he looked utterly defeated. I told him I’d think of something and sent him on his way. You may think this sounds absurd but you've never had to deal with Husband when there aren't any onions for the tuna salad. My men are creatures of habit. I decided to spread the cookie mixture into a pan, sprinkle chocolate chips over the top and hope there would be enough heat to melt the chocolate so I could smooth it over the top. If all that worked, I’d then just cut them into bars and hope for the best. It worked! And it was crazy easy. Way easier than portioning out individual cookies and making a chocolate drizzle. And most importantly, Brutus loved them! Line a 13x9 baking pan with waxed paper; set aside. In a large saucepan bring to a boil the sugar, salt, butter and milk. Boil mixture over medium heat for 1 full minute. Remove from heat immediately. Add peanut butter and vanilla; stir well. Add oatmeal and stir until thoroughly incorporated. Pour mixture into prepared baking pan and spread with a rubber spatula until level. Immediately sprinkle chocolate chips evenly over hot oat mixture. Let chocolate chips rest for 5 minutes to melt and become pliable then spread chocolate evenly over oat mixture. Cool, uncovered, for several hours until set (you can refrigerate once pan is at room temperature). Remove “slab” from pan by lifting up on waxed paper then cut into bars. Store at room temperature in an air-tight container. *I prefer quick-cooking oats vs. old fashioned in this recipe but either will work! YUM! LOVE peanut butter bars. I think my recipe uses graham cracker crumbs. I will try your version with the oatmeal. I have a huge box of oatmeal from Costco, so this is perfect! GORGEOUS and inviting! Thanks so much for sharing with us at Weekend Potluck. 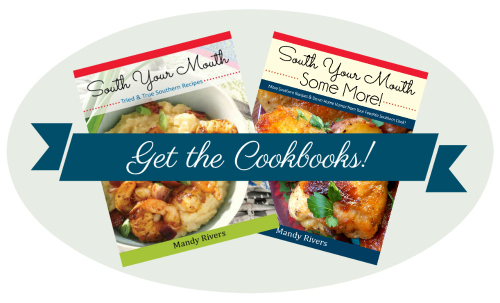 Your recipes are very popular all over the net and we're always honored when you take time to share with us. Have a wonderful week ahead. is there a difference between using quick or old fashioned oats? The quick oats are softer and more tender. Can't wait to make these!!! Can i use powdered sugar instead? What a great idea! Why did it never occur to me to try this method before??? These days I don't seem to have patience to scoop out cookies on a busy day. And with temps close to 90 - very unusual for this time of year but I'm soaking it up knowing the dreaded winter is around the corner - I wanted something sweet in the house but no oven! Gave these a try earlier and I couldn't stop licking the still warm spoon lol. Sadly I didn't have nearly enough chocolate chips in the house so I just left them "naked" and they are phenomenal! Can't wait to try this idea with the other no bake cookie recipes I have. Thanks for a great idea!